This season, we’ve got a soft spot for quilted jackets and love the inspiration for the country-hunting look freshly interpreted by Burberry. 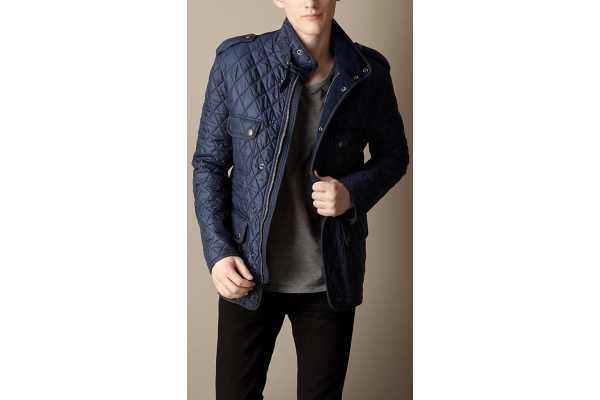 Their Diamond Quilted Field Jacket is an essential mid-season coat that looks as good in the city as in the country. Wear it with a scarf, chinos and short boots for the country, or with a black dress pant, soft grey shirt and black tie to turn heads in town. Known for their impeccable fitted cuts and careful crafting, the London brand continues its legacy with this elegant jacket. You’ll find four utility pockets in front, distinctive leather elbow patches, epaulettes, and side vents in the back for optimal comfort and lightweight design. Available in black or navy ($895).